We love our pets and treat them as our family members. We do not want our pets to be maltreated by anyone in our absence as they are very precious to us. They shower love and faithfulness to us. And when we have to go out for a holiday we must make proper arrangements for them. A dog is a very faithful animal and gets very much attached with its owner. When you go out for a holiday it becomes very difficult for your dog to bear this separation. Moreover, you will also not be at peace without your pet. It is important to place your pet in safe hands where it can remain calm and peaceful. And dog boarding kennels are the safest places where you can keep your dog if you are going out of the city for a holiday. You must select correct dog boarding kennels where proper care is taken. To select the best place for your dog where you can keep it in your absence, you must do some research. Pay visit to all the places where dogs are kept in the absence of their owners. After selecting the best place for your dog do not delay in booking to avoid disappointment. All dog keeping places require your pet to be vaccinated. Get it done in advance and keep the papers ready as you have to deposit them in the kennel. To find the best place for your dog contact your friends and relatives. They may be able to advice you better. A good counseling will assist you to decide well for your dog’s safety. You can check out for suggestions with the pet shops and local vets. They may be able to help you out. The dog care houses have several facilities and services. If you are going out for a day then opt for doggie daycare, but if you are going out for few days then you must appoint a pet sitter who will take proper care of your pet. These dog care places provide all kinds of services and facilities depending upon your choice and means. 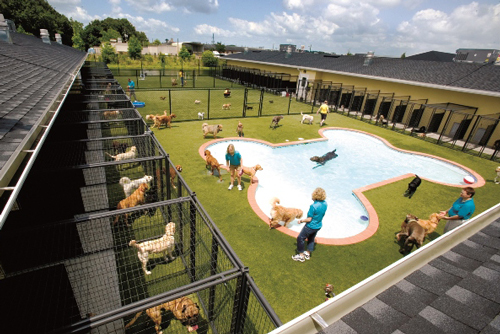 After selecting the best place for your dog, you must visit and meet the owners. Check out whether the place is neat, safe and stink free. Interact with the person who will take care of your pet. Check the caretaker’s modus operandi how he interrelates with your pet. You must feel safe to hand over your pet to him. Check the security of the place for the betterment of your dog. The place must be completely protected so that your pet is safe inside the campus. Once satisfied you may leave your dog under the care of the pet sitter.